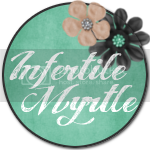 The Infertility Overachievers: Busy, oh so busy! 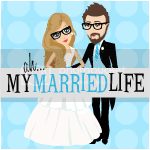 So tonight I leave for what will start the next two weeks of Wedding Extravaganza! I have mentioned this several times but for my new readers, my BFF and the hubs BFF are getting married over the next two weeks. We are both in the weddings, so that means alot of traveling and alot time away from London. Tomorrow I am leaving for North Carolina where I will stay a few night at Mike's parents house so I can hopefully help London get acclimated with his new temporary home at Abuela's and Juanito's house. Then on Wednesday night I will leave and be catching a plane to CHICAGO for the first of our very special weekends. Mike's BFF is getting married this weekend to a very amazing woman so we couldn't be more thrilled than to go celebrate with them. Since I don't have a ton to say tonight, I will leave you all with a little video. This is a video of what happens when you let Mike take London to Walmart alone and without ME adult supervision. This is London wreaking havoc in Walmart. I like the part at the end where Mike tells London that he won't get a motorcycle before he does! LOL!!! Is there something wrong with him pushing the cart?? M does that in target all the time! Also, how does he already know what to do with that motor cycle??? Hope you have safe travels! Can't wait to hear all about it! Cute! Have a great time in Chicago! I know you will miss London, but try to enjoy yourself. Your little man is so cute!